Toronto – December 14, 2016 – UFCW Canada views the announcement from the federal government regarding changes to the Temporary Foreign Worker Program (TFWP) as an important first step in fixing a broken immigration system. As Canada’s union for retail and food workers, UFCW Canada represents over 250,000 workers in the food retail and processing, agriculture, and hospitality industries across the country, where many temporary foreign workers in Canada currently work. “Our union is encouraged by the announced changes to the TFWP, and we will continue advocating for further improvements to the program and our immigration system, motivated by our belief that if you are good enough to work in Canada, you are good enough to stay,” says Paul Meinema, the National President of UFCW Canada. 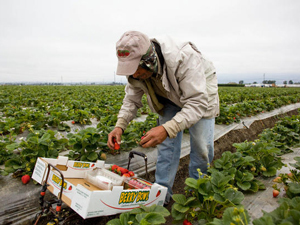 “All migrant workers should have the opportunity to access permanent immigration status, and ultimately, citizenship, as that is the best way to reduce the exploitative nature of the TFWP,” says the UFCW Canada leader. “UFCW will also be holding the government to account on its stated commitment to ensuring that Canadians have first access to available job opportunities, and that employers are doing everything possible to make sure Canadians know about, and are offered, all available work,” adds Meinema.